When thinking of female Rock-n-Roll icons, chances are many names come to mind. Everyone from Janis Joplin to Pat Benatar, the list is long and plentiful. Among all the names, one would be remiss to not mention Stevie Nicks and Chrissie Hynde. Two equally powerful and important figures that helped shape the face of Rock-n-Roll, both have compelling stories to tell. Nicks, a once struggling vocalist who worked hand in hand with Lindsey Buckingham, would join up with Fleetwood Mac in 1975, together going on to reshape the band’s sound and make history. Hynde, an American midwestern kid looking to find her way in the social turmoil of the early ’70s, would later go on to lead her band, The Pretenders, to become Rock hitmakers in the ’80s. Together, these ladies combined their experience, talents, and a plethora of success on the 24 Karat Gold Tour. A tour which began back in October of 2016, the initial 27-city trek was such a success, an extension was announced in late December for 2o more dates in 2017. 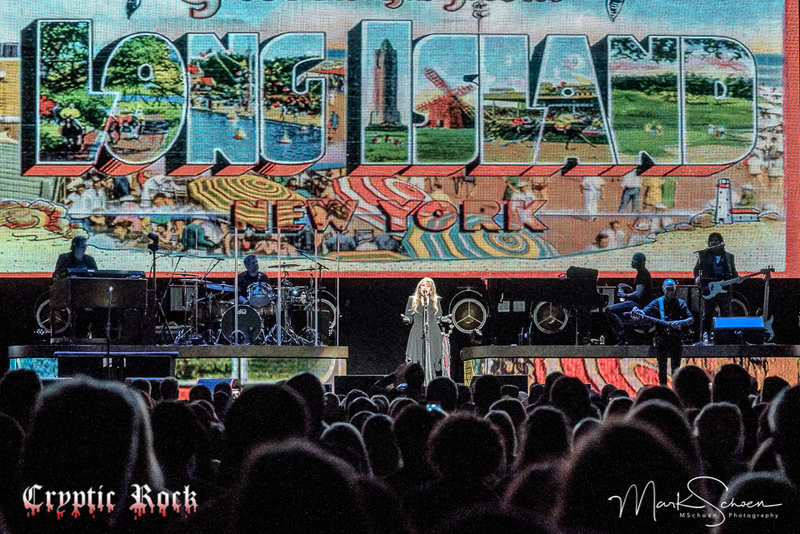 Reconnecting after the holiday season, Stevie Nicks and The Pretenders packed up their bags and took to the road together once again, out to share memories, as well as create new ones. A spring run that began February 23rd, it all came to a bittersweet conclusion on Thursday, April 6th, when the tour buses pulled into the parking lot of NYCB LIVE out in Uniondale, New York. The final night, it would also be only the second show ever held at the newly refurbished Nassau Veterans Memorial Coliseum, the first one, a day prior, when Long Island native Billy Joel popped the cork. With excitement in the air, fans ushered into the venue, many getting their bearings with the new configuration, but most of all, ready to share in a night of Rock-n-Roll with two legendary acts.